The Delegation of the European Commission to Georgia was opened in Tbilisi in September 1995. Starting from 1 December 2009 with the Lisbon Treaty entering into force, the Delegation of the European Commission is transformed into the Delegation of the European Union to Georgia. The Delegation in Tbilisi is one of over 130 European Union Delegations around the world. The Delegation has the status of a diplomatic mission and officially represents the European Union in Georgia. On 1 July 2013 the European Union completed its latest enlargement with the accession of Croatia. Today the European Union is made up of 28 Members States, has a population of around 500 million and is the largest trading bloc in the world. 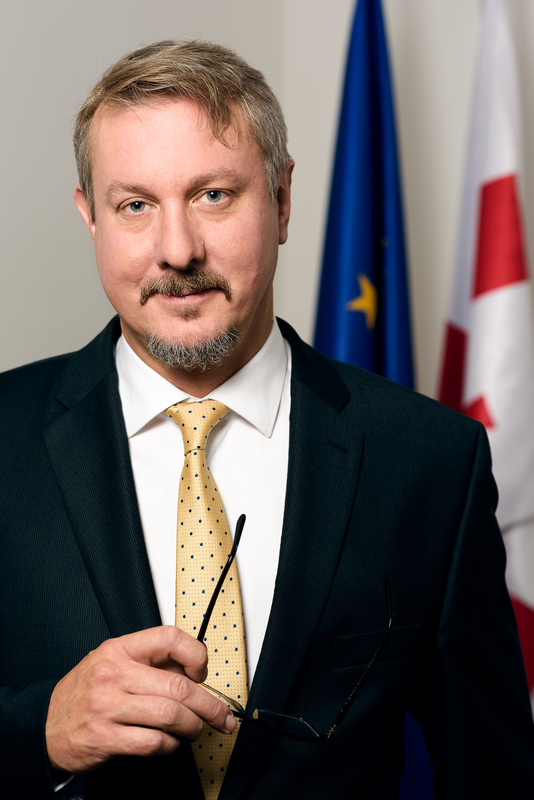 Carl Hartzell was appointed Ambassador of the European Union to Georgia in September 2018. As the EU's top diplomat in the country, Ambassador Hartzell oversees the bilateral relationship between the European Union and Georgia, and the work of the Delegation including political and economic affairs as well as cooperation. He represents the Presidents of the European Council and the European Commission and works under the direct authority of the High Representative for Foreign Affairs and Security Policy in implementing the EU’s foreign policy.